The Adventures of Puss in Boots returns to Netflix May 8th! On May 8, DreamWorks Animation’s wildly popular The Adventures of Puss in Boots returns to Netflix with five all-new hilarious episodes! Viewers will join Puss In Boots, Dulcinea and the denizens of the enchanted village of San Lorenzo for fantastic, comedic adventures. In the new episodes, they journey to find the Fountain of Youth to save Puss's old mentor, El Guante Blanco; discover a powerful, talking sword in a stone (voiced by John Rhys-Davies of "Raiders of the Lost Ark" and "Lord of the Rings"); and come face-to-face with a giant, marauding Golem who has an unexpectedly soft heart. The Adventures of Puss in Boots is available for early review. If you are interested in covering, we can set you up in the online screening room to view two of the five upcoming episodes. If you are already registered with the Netflix screening room please let us know and we will make sure the episodes are available for you. If you are not registered with the Netflix screening room please we will get you set up asap. In order to have early access please confirm with us by Friday, May 1. With having three kids I am always packing lunches and snacks everywhere we go and things jsut jingle around my bags. I was happy to try out the Sunsella Buddy Boxes and it comes with 4 Plastic Bento Lunch Boxes and it is on sale for $13.95 with prime right now. I sell alot of items on facebook so I need a great scale that is a nice quality and works great. I tried out the Smart Weigh Digital Glass Top Kitchen and Food Scale. We have both dogs and cats and it seems like they always need their nails cut Most of them do not like to be held down so I have to use the best nail clippers as possible for fast results. We tried out the OmegaPet Dog Nail Clippers. We are packing up to go on vacation soon and I have been really into skincare and trying to get my skin healthy. I tried out Aveya Beauty Natural Sunscreen. I love JoJoba oil and I use it in many things with my essential oils and also in my soap making and body products. We tried out the Foxbrim Jojoba Oil. Tender Tushies Cloth Diapers is ran by my sweet friend Sarah. She carries a wide range of cloth diapers and diapering products for your baby, toddler, child and adult and all their needs. Today I am sharing a product with you that she carries and it is the Alva AIO with bamboo and it retails for $8. I love ice cream but my least favorite party if it is scooping it. Sometimes it seems almost impossible to get a scoop out for me so Danny does most of our scooping here. I was excited to try out the SUMO Stainless Steel Ice Cream Scoop. My boys love to play dress up and put on costumes. I was able to try out one of the New Arrivals from Costume Super Center. We choose the Toddler Deluxe Frozen Olaf costume and it retails for $31.99. We all love Frozen here so I knew this was a great find. Here is what it looked like when it arrived. Im all about using natural products so i tried out the Pureley Great Cream Deodorant. I have to start this post out saying that I totally did not like this. The first week I noticed that I was stinking really bad enough that I could smell myself even after a shower. I felt really dry and itchy but yet the smell was coming off. I contacted the company which told me that it was really normal as it was "a transition period your armpits will detox since your pores are no longer being plugged up. Some people get scaly skin and pimples and smell more it could take a couple of weeks before your body adjusts to a natural product." Ok so i try it for another week and it is still the same thing and I feel like I can no longer go on using this product and walking around stinking all the time so i finally stopped using it. I started using my regular product that was working for me before and it took alost another 2 weeks to get the stink smell from happening after I switched back. Im not sure is this is normal but there was no way I wanted to find out. Im sure these products work for some but ir is not for me. Have any of you tried these types of products? Did they work for you? With 3 kids in the house that are active I like to keep a variety of activities around for them. We were able to try out the Balance Boards 22" Balance Old-School Cruiser Skateboard. With Jaxon Being 2 and having SPD he needs a constant cuddle for his little body. I was excited to try out Halo's SleepSack Early Walker and it retails for $26.95. Danny recently purchased the new iPhone 6 plus and he really likes it. He reviewed a new case for it from CacheAlaska iphone 6 Plus Case. Arrives on Digital HD This Friday! Relive the adventure and excitement of the Star Wars galaxy as Saturday Night Live’s Bill Hader takes you through the exciting new @Lightspeed videos, appearing exclusively in Disney Movies Anywhere! With all six epic Star Wars films in the Saga coming out on Friday for the first time ever on Digital HD, you can get more Star Wars bonus exclusively on Disney Movies Anywhere. And, if you don't know a Skywalker from a Solo? Disney Movies Anywhere (DMA) has you covered, with the exclusive video series Star Wars @Lightspeed. Preview the clips below! From Tauntauns and Ewoks to X-Wings and Lightsabers, Bill Hader narrates a series of action-packed vignettes featuring the fantastical creatures, lavish costumes, space cruisers, and ancient weapons found in a galaxy far, far away. 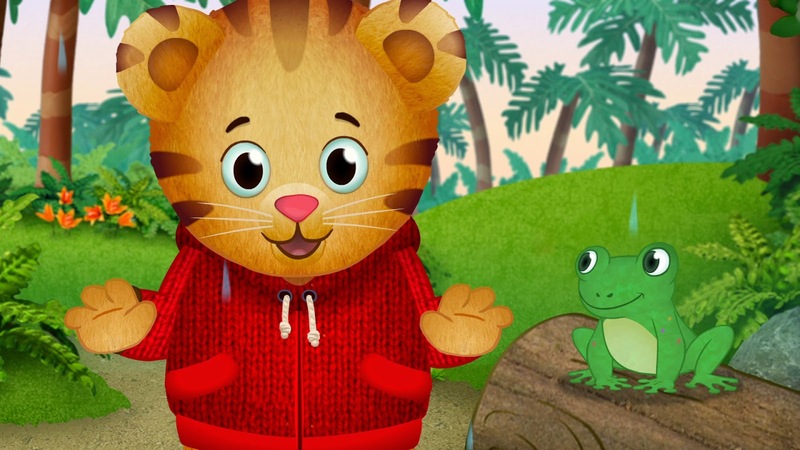 Daniel Tiger’s Neighborhood, premiering on April 20! · Be an explorer! – As the weather gets warmer, go on a nature walk with your child – even if it’s just in your own backyard! On the walk, ask your child what they see in the environment and have them make some observations, including the types of animals and plants they spot. I love all beauty products and today I am sharing a different product with you. It's called Bee Naturals Queen Bee Peeper Keeper Eye Balm. STAR WARS: The Digital Movie Collection Arrives on Digital HD 4/10! Vacation is that wonderful word that everyone looks forward to saying at least once a year. Many families use their vacation time as a chance to grow closer and learn more about each other without the distractions of their hectic daily lives. These factors make vacation time essential for most families, but those who are trying to live an eco-friendly life may discover finding the perfect vacation is not always easy. Here are six tips for planning an outstanding eco-friendly family vacation that any family can use to meet their vacation and green living needs. Once upon a time, dual stream recycling processes were the most prevalent used in communities nationwide. However, technology has allowed for the single stream system to rapidly gain popularity. Not only do most consumers now only have one recycling bin in which to throw all of their items and materials, but it also increases the efficiency of curbside pickups. Now that summer is approaching we love clogs at our house, They are so easy for the kids to slip on we always keep them around. We were lucky to be sent these adorable toddler Tank Clogs from Clogstorm. 1.Tools before applying: scissor, knife, card or credit card for squeezing. 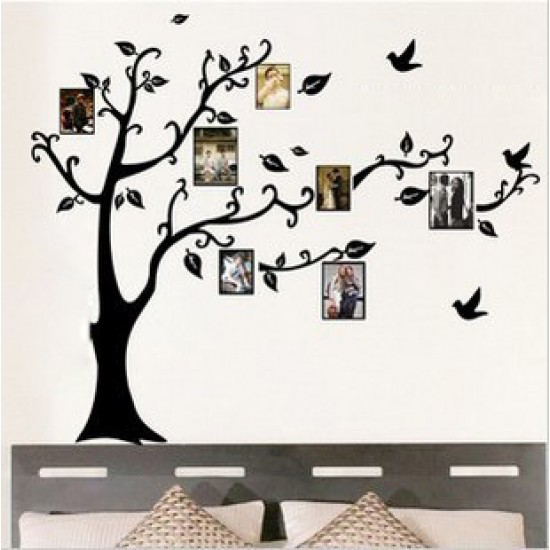 You are supposed to cut off the blank part of the pattern on the tree wall decal since it is easy to affix. I do alot of blogging at right and I love to do it in bed while having the TV on in the background but some times it is hard to see the keys while I am typing. I was lucky to try out i2 Gear USB Reading Lamp with 2 LED Lights and Flexible Gooseneck. I love to have a variety of prints in my cloth stash and I love trying new brands and I was happy to try out one that I have never heard of.